I am still playing with dies I received for my birthday recently. 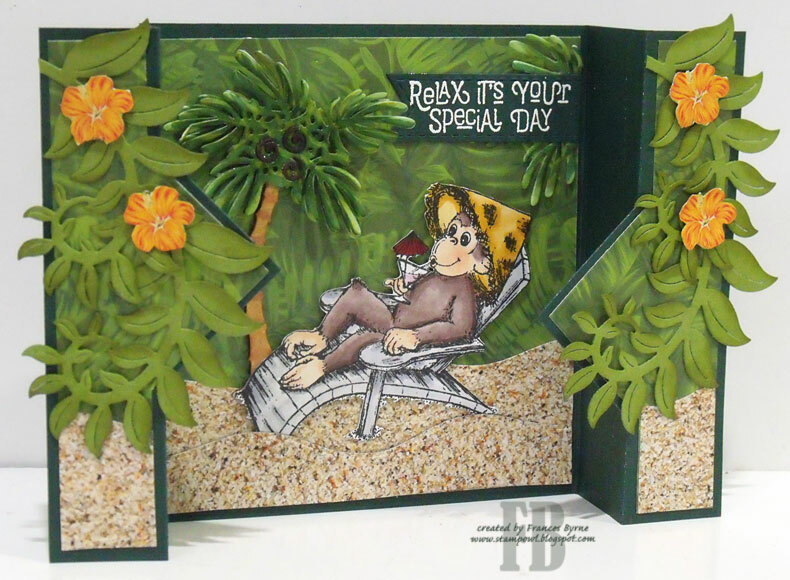 For this card I used the Nellie Snellen Pop-Ups Square die to create the two die panels of this card. While I was searching on Pinterest to find ideas on how to use this die, I came across a card that used this layout. Unfortunately I didn't pin the link, so when I went back to look for it I couldn't find it. 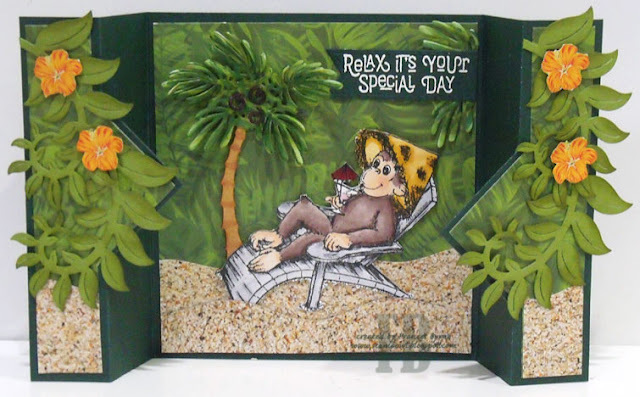 To decorate my card I used one of the Heartfelt Creations monkeys and some dies from La La Land Crafts. Here is another view of my card, so you can see the folds a little better. I have never seen this die before - so fun to see it in action with your amazing card.